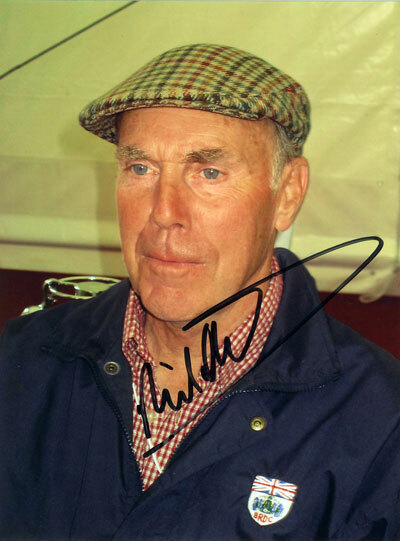 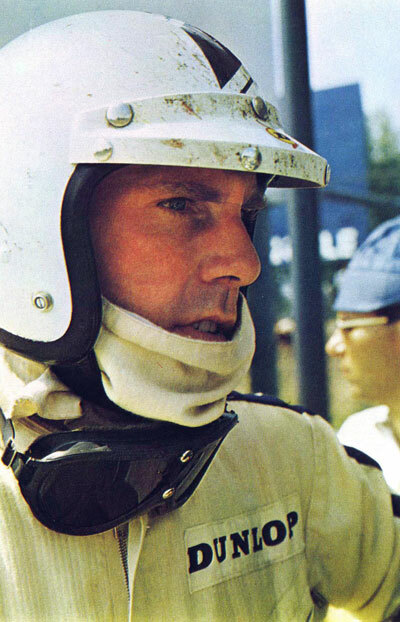 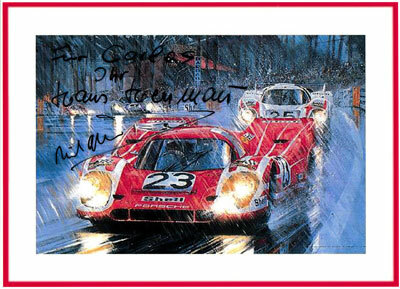 Also signed by Hans HERRMANN. 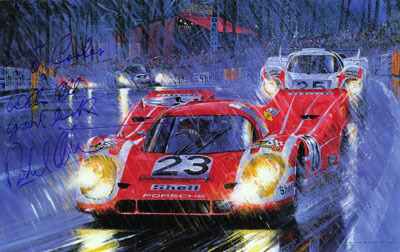 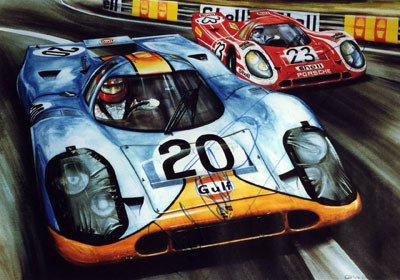 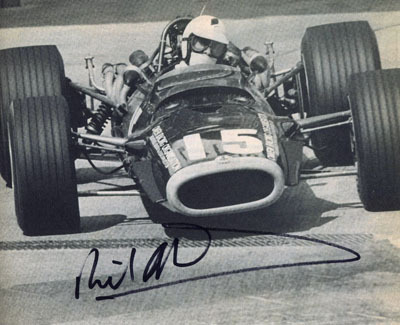 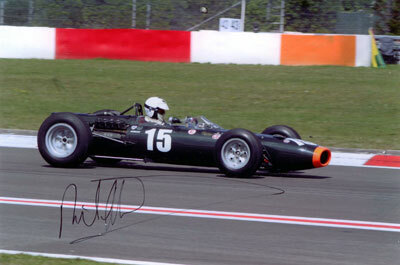 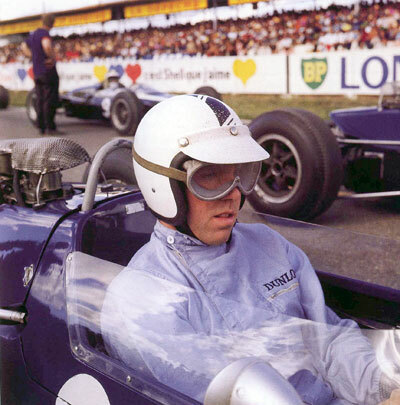 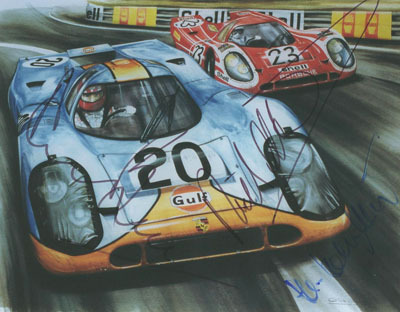 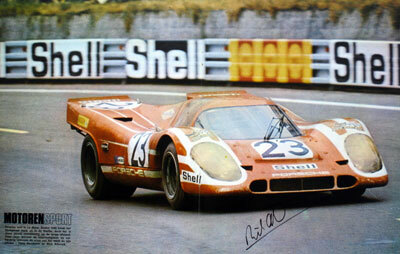 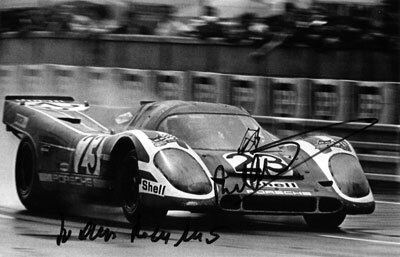 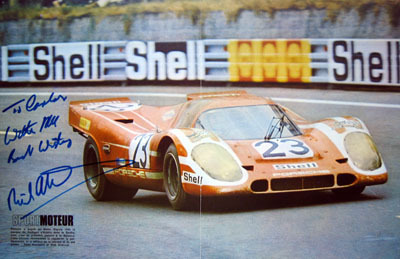 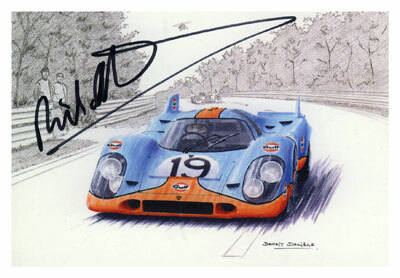 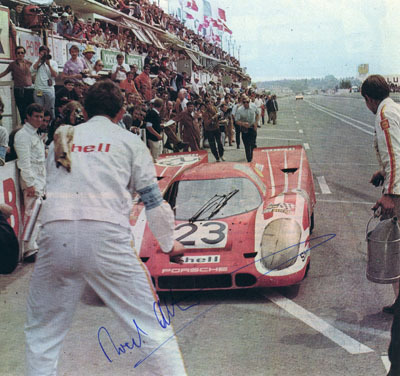 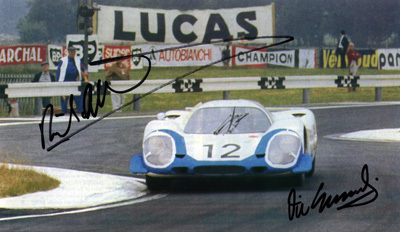 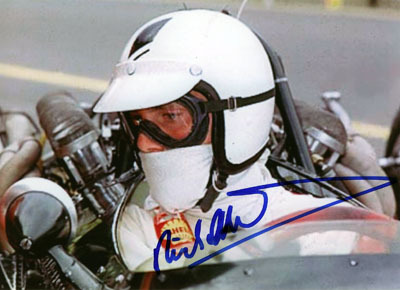 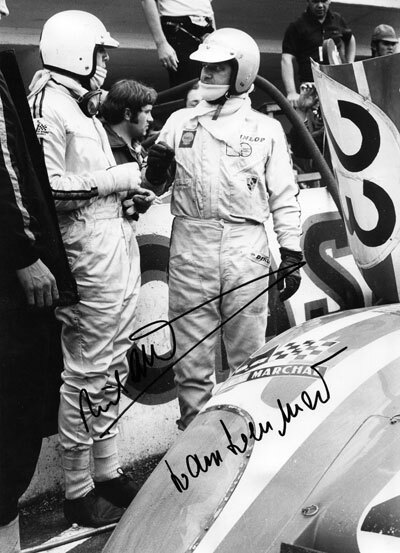 Also signed by DEREK BELL and HANS HERRMANN. 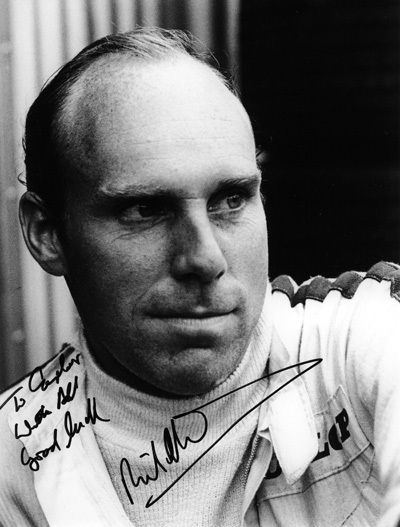 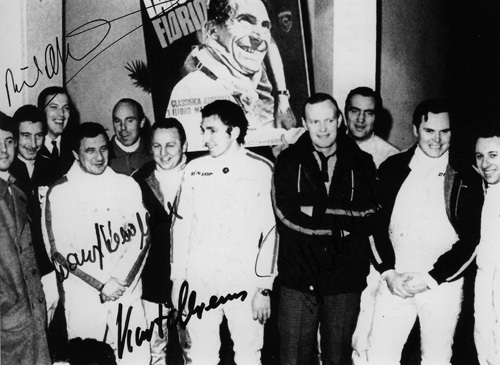 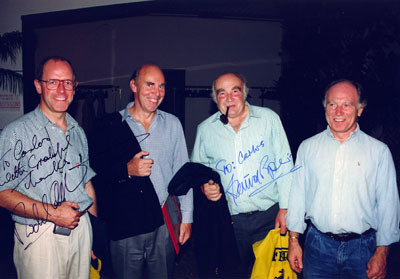 Carlos, posing with Richard Attwood, David Piper and Teddy Pilette. 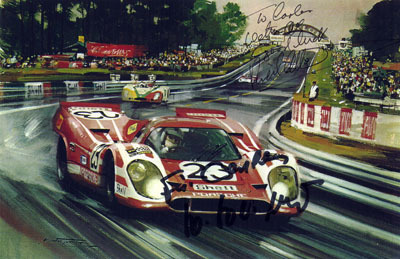 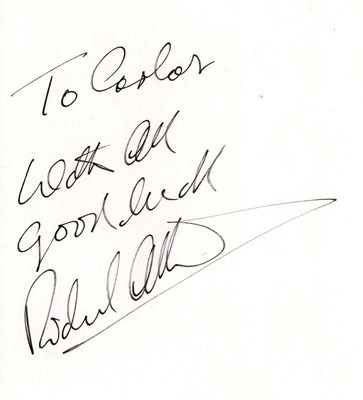 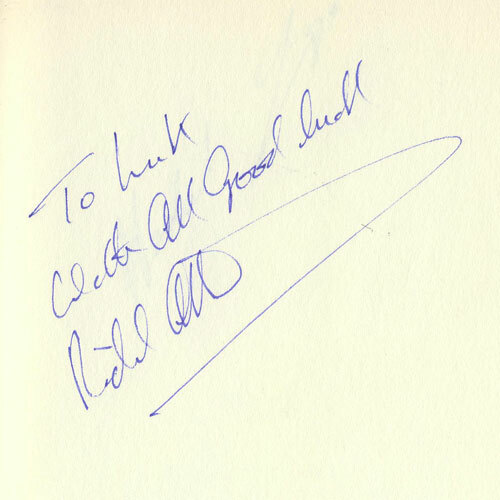 Also signed by David Piper. 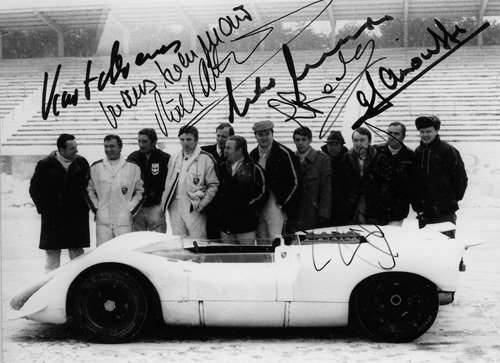 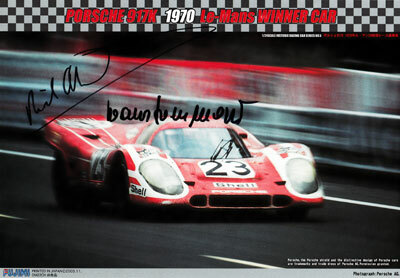 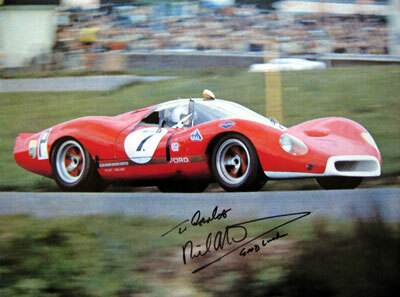 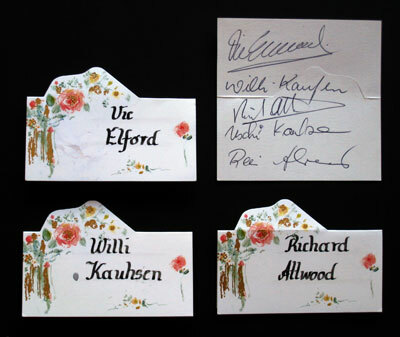 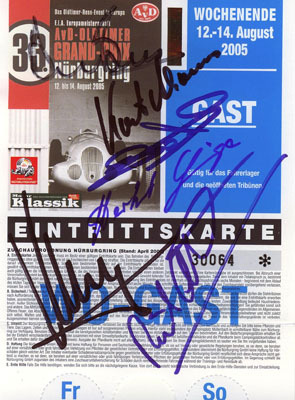 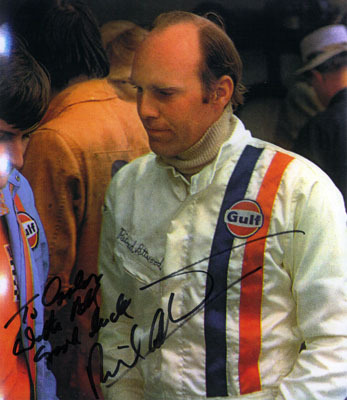 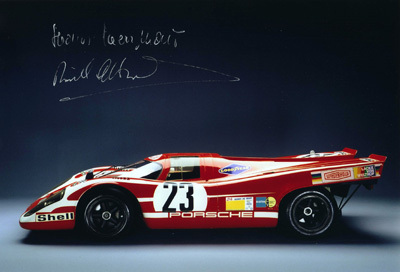 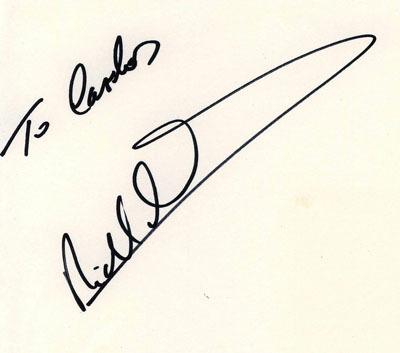 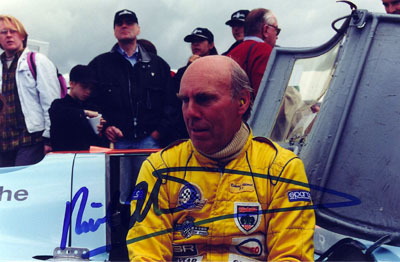 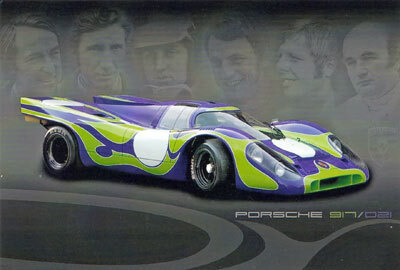 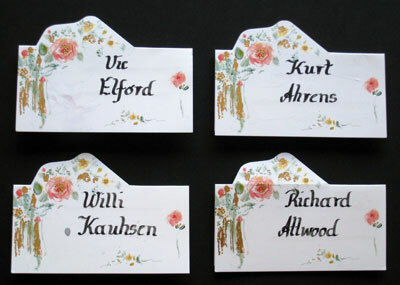 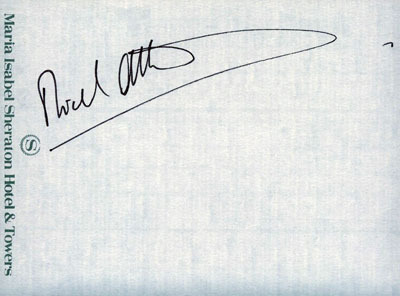 Admission ticket, also signed by Derek Bell, Kurt Ahrens, Eric Van De Poele, Herbert Linge and Klaus Ludwig. 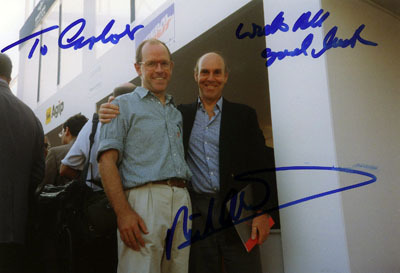 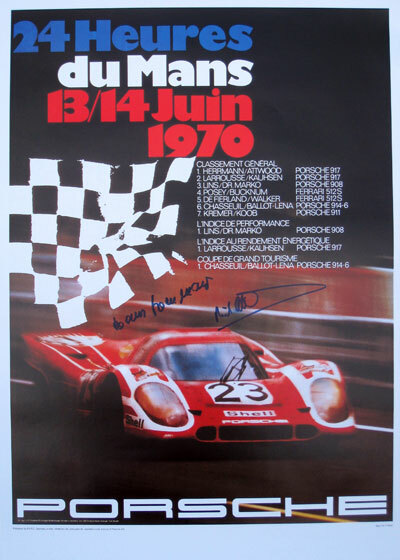 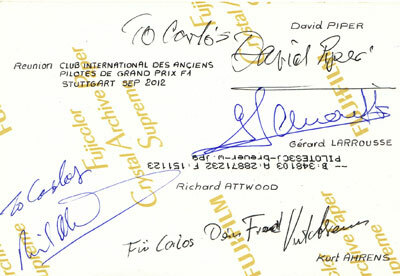 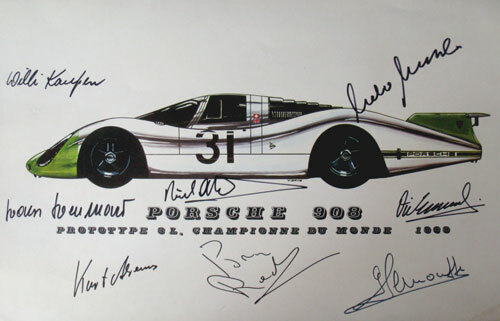 Reunion "CLUB INTERNATIONAL DES ANCIENS PILOTES DE GRAND PRIX F1"
Signed by David PIPER, Gérard LARROUSSE, Kurt AHRENS and Richard ATTWOOD.